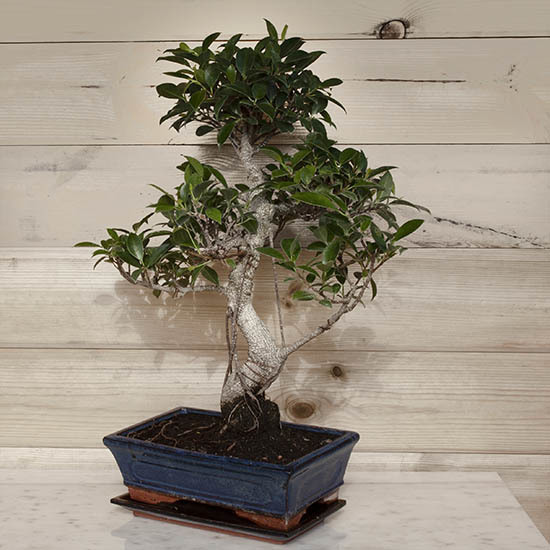 A superb 6, 8 or 10 year old bonsai! 10 years, height: 45 cm including pot. 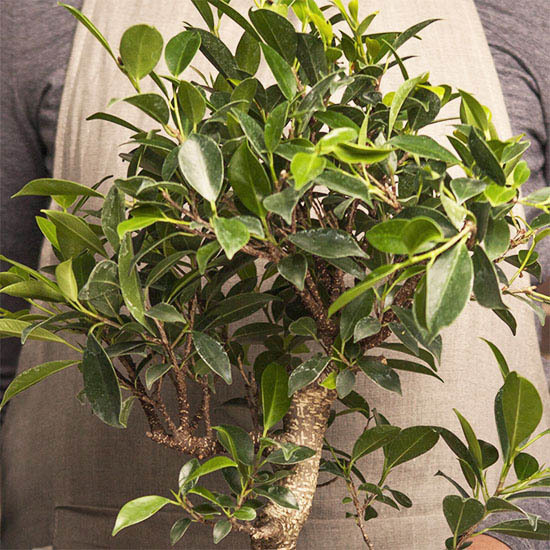 Outside: The ficus is not resistant to frost and should be grown inside as soon as the average temperature drops below 15°C. 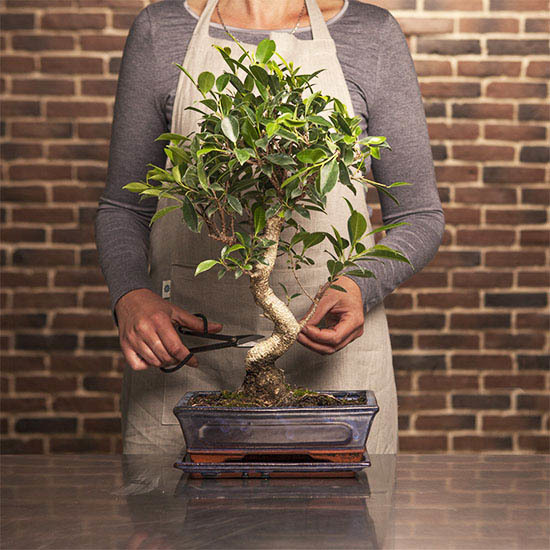 In the summer, you can put your bonsai outside as long as the temperature does not drop below 15°C. This will be beneficial to the tree and make the foliage more abundant.